Released in 1993 by Sierra, this was my first CD-game ever. But I was only ten years old at the time and my English was far from great, so I tried to play it but didn’t understand any of it or where I have to go. Once my English improved, I was able to advance steadily. 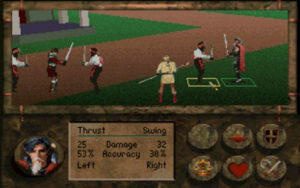 BAK is a RPG game but as opposed to others such as “Eye of the Beholder” the combat screen goes into a separate mode, where you can move on squares, attack, use items or magic. In addition to the cool fight system, there are many chests in the world that you can only open once you solve a riddle. Some of them are very easy, some not. This was another element of the game that put me off when I first tried it, as I couldn’t understand English very well. I have no regrets coming back to the game and completing it eventually. I still consider BAK one of the greatest ever RPG games of all time. At the beginning of the game, Gorath a Moredhel chieftain kills an assassin sent by current leader Delekhan. 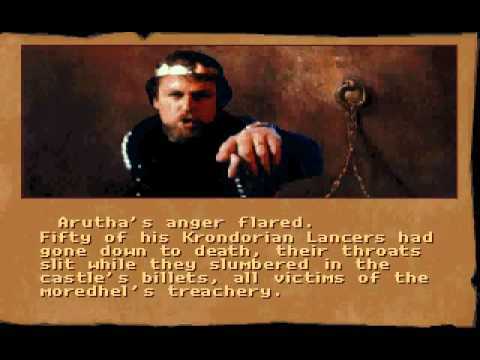 Gorath found out about Delekhan’s plans to invade Kingdom and has chosen to warn Krondor thus betraying his clan. He is at this point accompanied by the knight Locklear and a mage Owyn. Once they are able to reach Krondor and warn Prince Arutha, the party survives yet another assassination attempt. Although Gorath knows of the impending attack, he has no idea where it will begin. The party goes to the town of Romney (no, nothing to do with Mitt!) and intercept Delekhan’s spies there. However, once they get there, they find that the garrison has been annihilated but clues left behind lead them to Delekhan’s chief spy, Navon. Upon killing Navon, the party finds out that Delekhan intends to move on Northwarden and decide to split up into 2 groups. One group goes back to warn Arutha while another knight, James, heads to Northwarden. Before Gorath and Owyn can reach Krondor however, they are captured by one of Delekhan’s chieftains, Narab. They manage to escape the Moredhel capital Sar-Sargoth and make their way to Arutha. Arutha prepares his troops and sends both Gorath and Owyn to seek Pug’s help. Pug is a resident mage who can be very useful, should the Moredhel army use magic too. Meanwhile, near Northwarden, another mage named Patrus teams up with James and Locklear. Together, they poison the Moredhel food supplies and steal their battle plans. When they return to the castle, they find out that the Duke was murdered, so James assumes command. They are losing the battle when at the last moment, Arutha arrives with his army and routs the enemy. 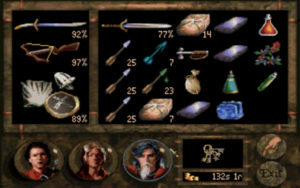 Owyn and Gorath head west to Elvandar to find the book of “Macros”. The magical words of the book teleport the party away. Meanwhile, in Northwarden, one of the raiding leaders spits out Delekhan’s plan to use a powerful teleporter to go around Arutha’s army. So James, Locklear and Patrus rush to disable that device, which they do. But as it becomes inactive, it essentially becomes like a black hole, sucking in everything around. 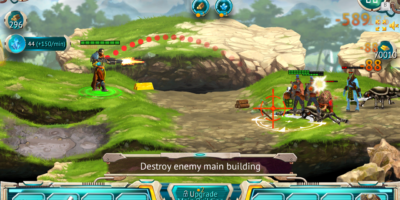 James and Locklear are able to survive but Patrus gets sucked in and dies. Owyn and Gorath meet up with Pug and are able to find the truth behind Delekhan’s plans. Delekhan is, in fact, a puppet of a great mage called Makala. Makala is seeking a powerful artefact called “The Lifestone”. They are able to free Gamina, Pug’s adopted daughter and then rush back to confront Malaka. 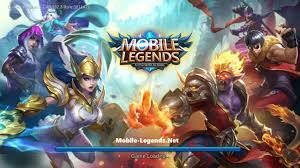 They are eventually able to defeat Malaka as well as Delekhan, although Gorath sacrifices himself as well to prevent the spirits within the Lifestone to escape. 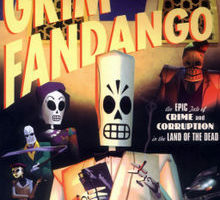 The game has a sequel but it is very much below par, graphically improved but with a brief and not so interesting story. 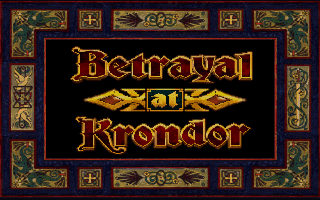 Betrayal at Krondor, however, is a true gem of the 90s and one that I hope many still play in the future as it set the bar for many games to follow. It’s a shame that the series is dead and most likely forgotten altogether.